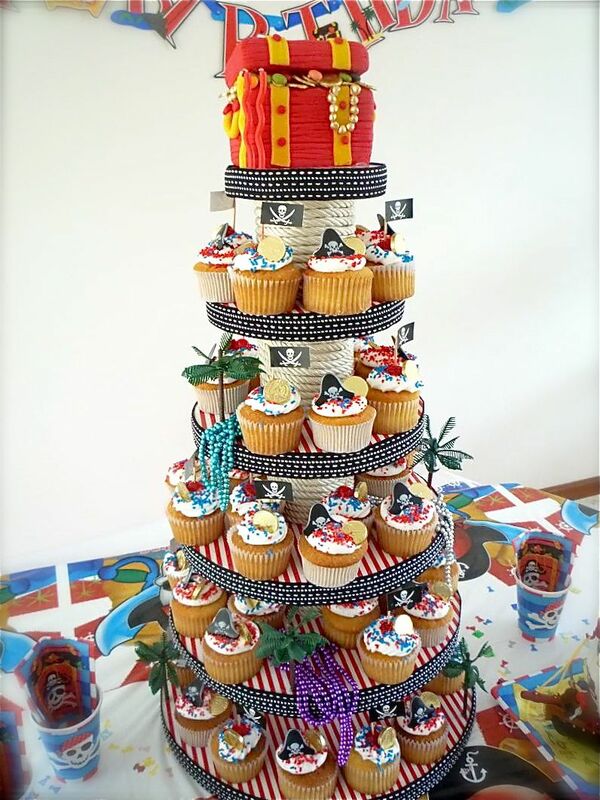 Wedding 01 Cupcakes (page 423) – pirated! rarely i take credit that isn’t my own: so i will and claim this mine’s and pirate Ceci’s take on ROSE’S heavenly CAKES: Wedding Cupcakes (page 423). these Yellow Butter Cupcakes (page 295) are made with heavy yogurt instead of sour cream. the yogurt Ceci uses is natural and thicker than any commercial variety available in supermarkets across the USA. the frosting is a light Italian meringue (cake bible, page 298), which Ceci finds suitable for warm weather since it does not contain butter. chocolate gold coins are such a great idea, for this occasion a kids birthday party. congratulations Ceci, you have taken this take above anything i yet have drawn on my design office! 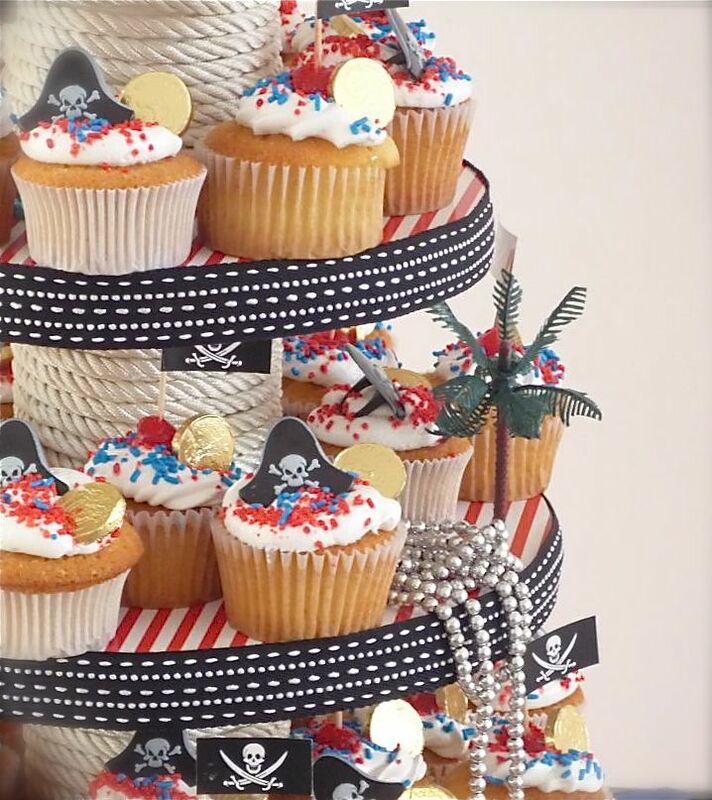 very nice looking cup cakes, also the way that they were putted together. Thank You Brandy, this Yellow Cupcakes Recipe is delicious. Decorate the tower took a little time but worth it. Beautiful work, Ceci! Love the treasure chest at the top. 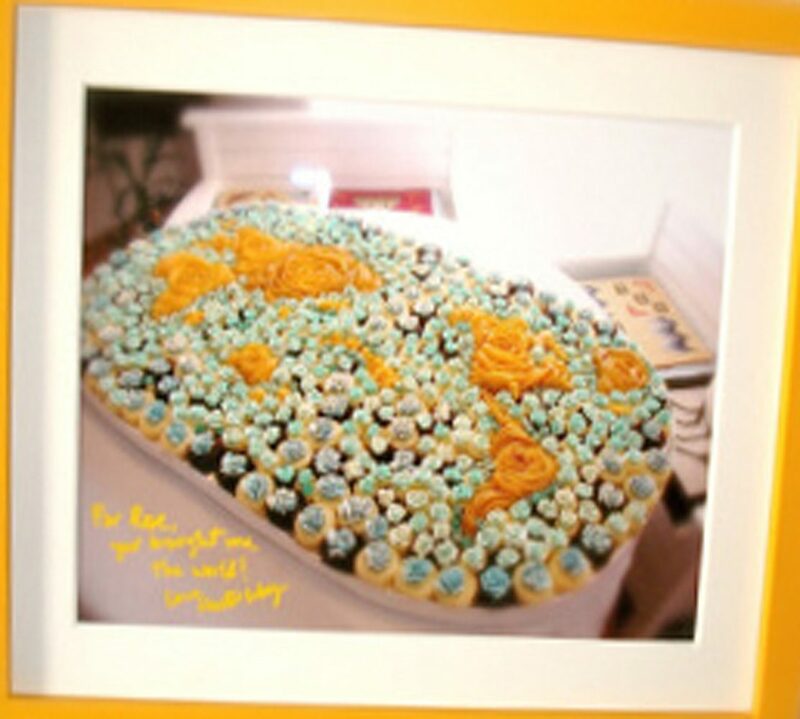 Thank you Julie, It was made of fondant. Ceci, muy profesional tu fondant!